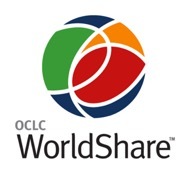 WorldCat is a union catalog comprised of the collections of 72,000 libraries in 170 countries that participate in the Online Computer Library Center (OCLC). Search 330 million records, representing over 2 billion items in 485 languages. UML print and e-books appear first, followed by regional and global holdings. It's one click to InterLibrary Loan. WorldCat is the manifestation of the creativity and innovation of thousands of librarians over several generations, who built a common resource that is unique in scale, and a de facto world library. WorldCat makes library collections findable and accessible anywhere on Earth. The WorldCat is owned, supported and led by its member libraries, including UMass Lowell.